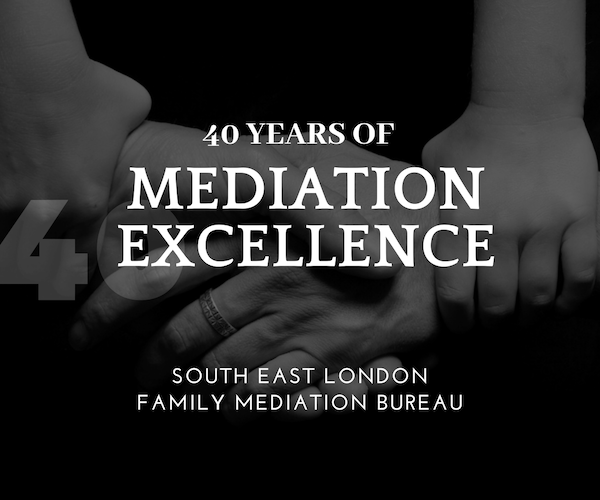 We are a well established organisation working under the umbrella of South East London Family Mediation Bureau and have successfully run an independent investigation service for over 30 years. We provide qualified Independent Persons/Practitioners and Investigating Officers for Stage 2 Investigations, as well as Chair Persons and Panel Members for Stage 3 Complaints Panels. We undertake both the role of the Investigating Officer and that of the Independent Person, and have provided this service for a leading Local Authority for many years, working either jointly or separately. We are now seeking to expand our service and are in the process of offering our expertise to a number of London Local authorities. We provide an impartial investigative service, characterised by our sensitive approach. Our team has in excess of 35 years experience, across a range of Social Work, Probation and associated fields. Our team members are professionally trained and have excellent analytical skills. Our fees reflect value for money and are competitive within the financial climate. We produce quality reports within the statutory time frames which are objective, impartial, and factual and appropriate to task. Our service is dedicated to working in an anti-discriminatory manner, ensuring respect for all regardless of race, nationality, gender, sexual preference, and is compliant with United Nations Convention on the Rights of the Child, or UNCRC. As a team we are able to collectively combine our substantial skill sets to provide an objective service, which operates within the legislative framework whilst enabling the complainant to feel that their issues are heard, have validity and are or will be fully investigated. GK qualified as a social worker in 1980, having previously worked as a residential social worker and education welfare officer. She worked as a social worker and manager in London local authorities and the NSPCC. In 1996 she became self-employed, acting as GALRO/Children’s Guardian, CP chair, IRO, as well as delivering training and conducting assessments for the family courts. JN is a retired social worker. She qualified in 1976 and worked with children and families and in the mental health field in Croydon and Lewisham Social Services, She then became a manager of social work teams in Bromley hospitals. She gained an MSc in Social Work Education and worked in social work training and education with Kingston upon Thames Social Services, the NSPCC and Goldsmiths, University of London. She has acted as Investigating Officer and Independent Person with SELFMB since 2012. LJ qualified in 1980. She has undertaken the role of Investigating Officer, Independent Person in Section 26 and Adult complaints for the last 18 years for a number of London Boroughs. She has experience as a practitioner and senior manager in the field of criminal justice in Inner City areas of London and has worked in developing voluntary sector provision for victims of crime. She has experience of Education exclusion panels, Adoption panels and developing innovative multi-agency criminal justice crime reduction projects across London. AJ qualified as a social worker in 1977. She has many years experience both as a practitioner and manager within the Probation Service and Cafcass; she has been involved in the field of social work education, and currently undertakes some work for an adoption agency outside the London area. SR has over 30 years experience in the Probation Service working as a Probation Officer, Middle and Senior Manager in a variety of settings. In the last 8 years she has specialised in investigations, review, inspections and complaints for a range of organisations; probation services, mental health, a local authority and the Care Quality Commission (CQC). She also led a EU project developing the probation service in Croatia. To find out how we can help you, please call 020 8315 7460 to get in touch.